1. 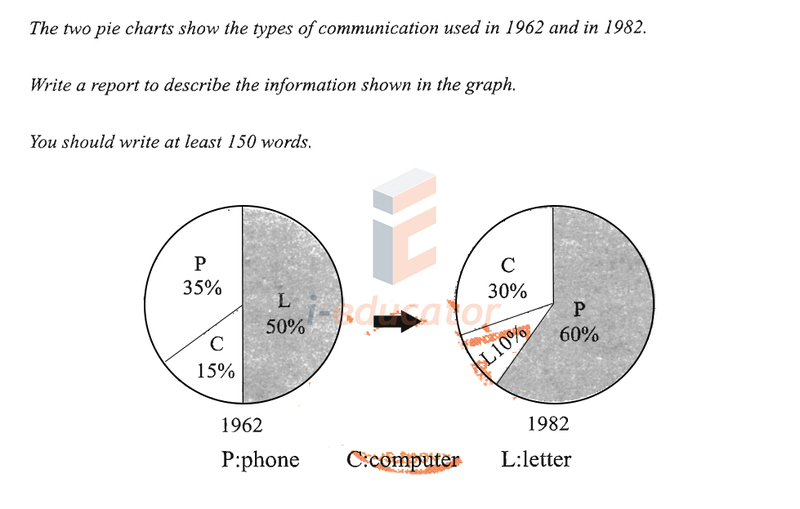 The two pie charts show the types of communication used in 1962 and in 1982. 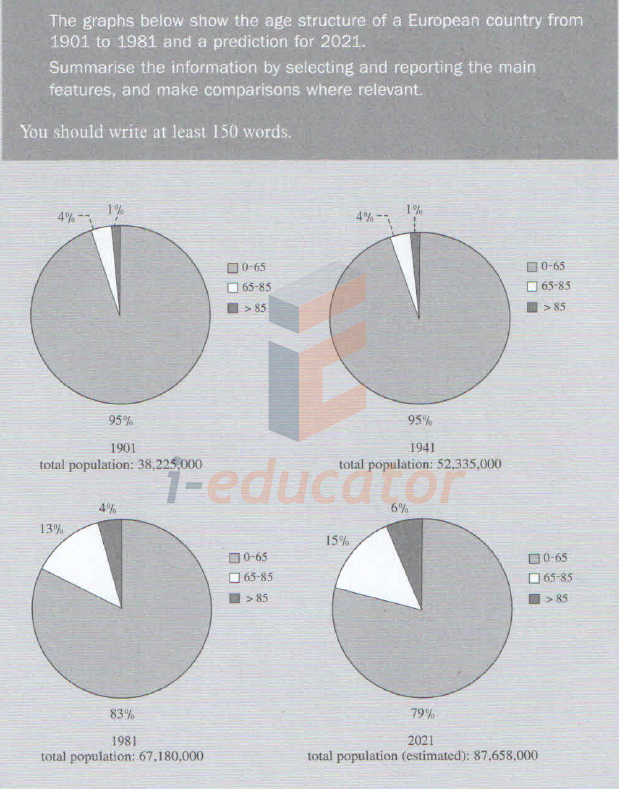 Write a report to describe the information shown in the graph. 2. 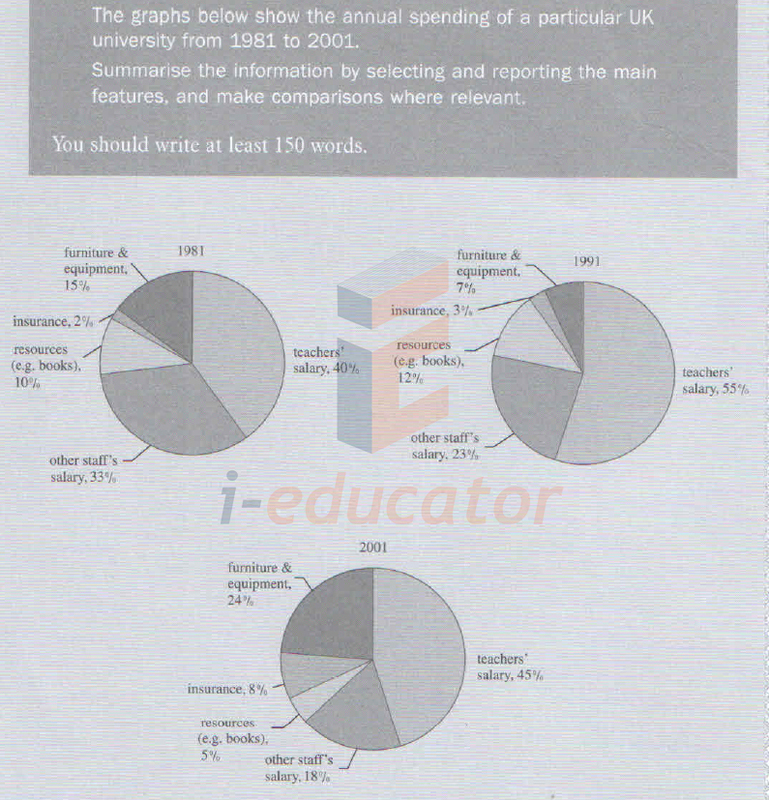 The two pie charts below show main reasons why students chose a particular UK university in 1982 and in 2002. 3. 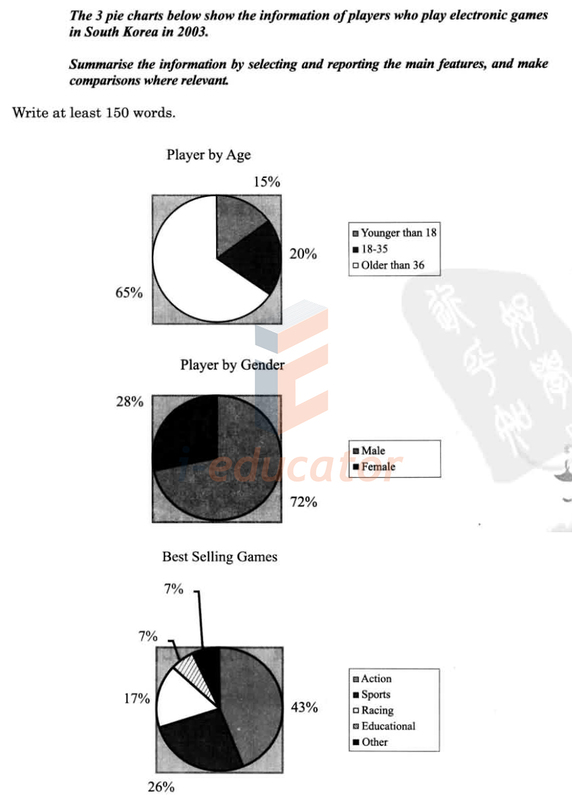 The 3 pie charts below show the information of players who play electronic games in South Korea in 2003. 5. The graphs below show the age structure of a European country from 1901 to 1981 and a prediction for 2021. 6. The charts below show the results of a survey of full-time students' and part-time students' satisfaction towards IT support and current opening hours in library. 7. 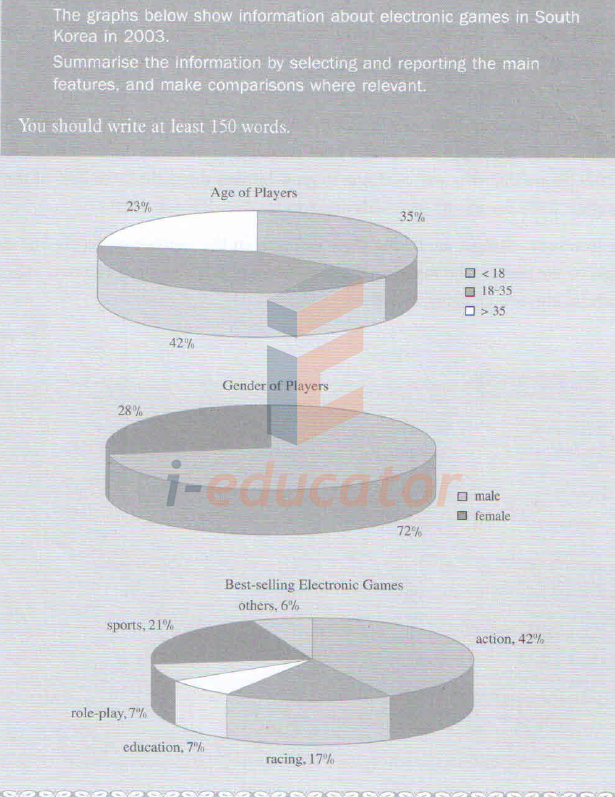 The graphs below show information about electronic games in South Korea in 2003. 8. 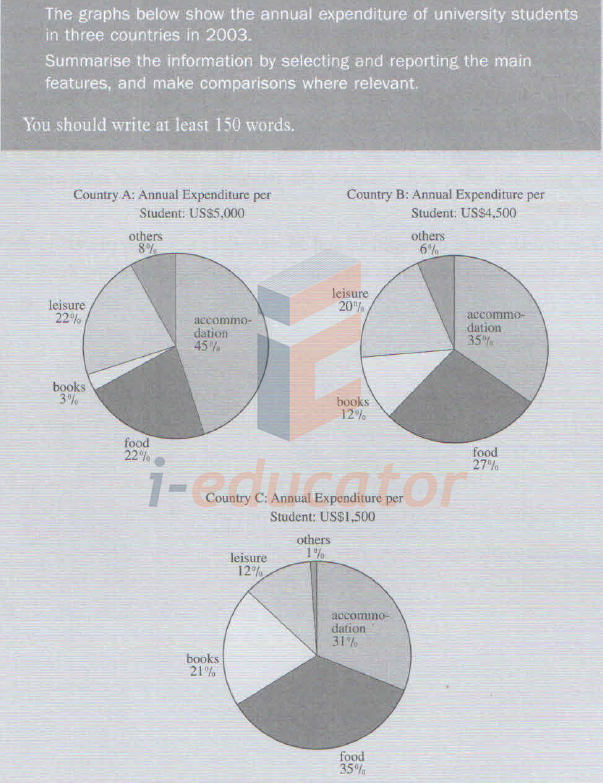 The graphs below show the annual expenditure of university students in three countries in 2003. 9. 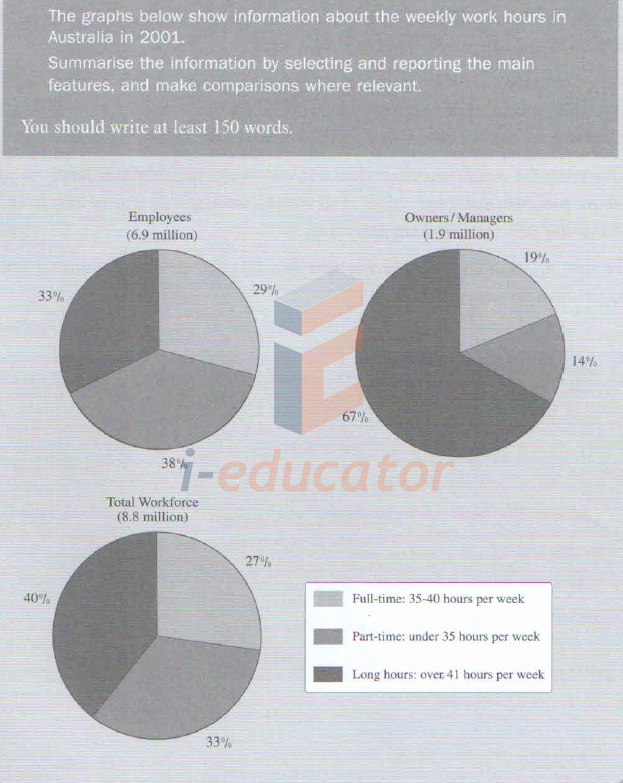 The graphs below show information about the weekly work hours in Australia in 2001. 10. The graphs below show the annual spending of a particular UK university from 1981 to 2001.